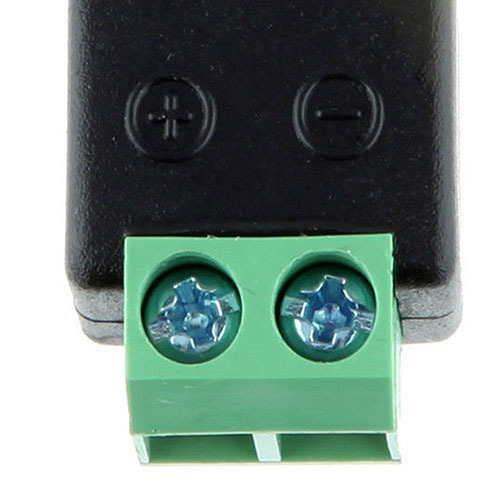 No More Cutting and soldering! 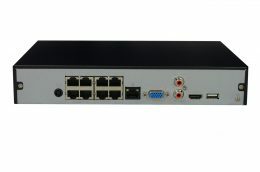 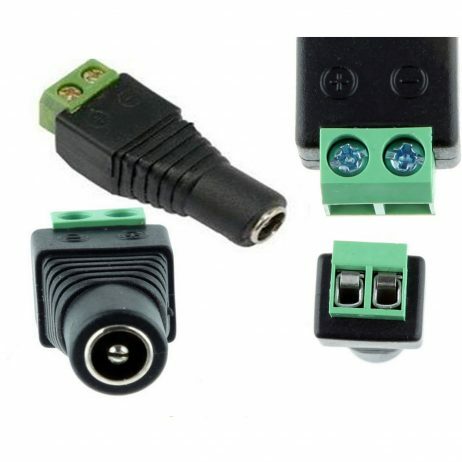 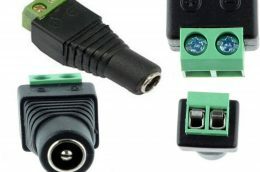 The 2.1mm DC Socket features a DC 2.1mm socket and connector with marked polarity. 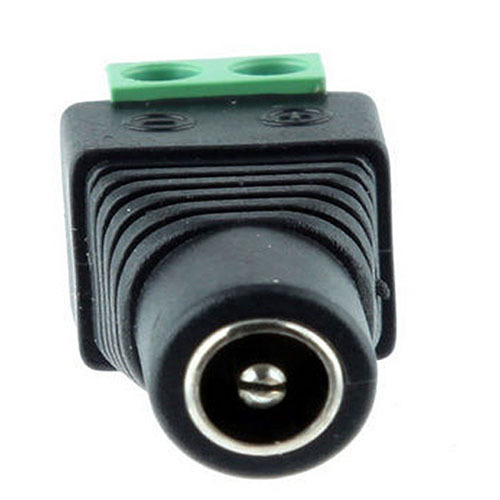 You simply screw your cable and then just plug it in. 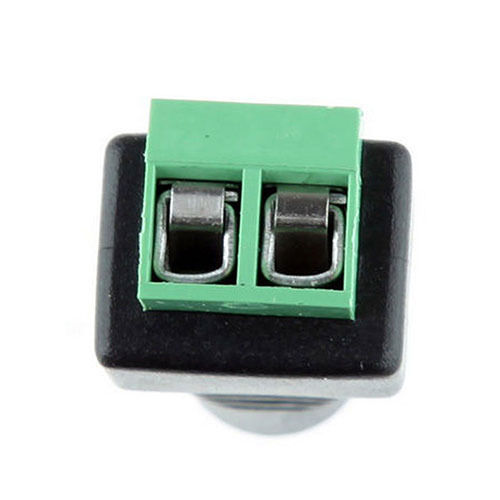 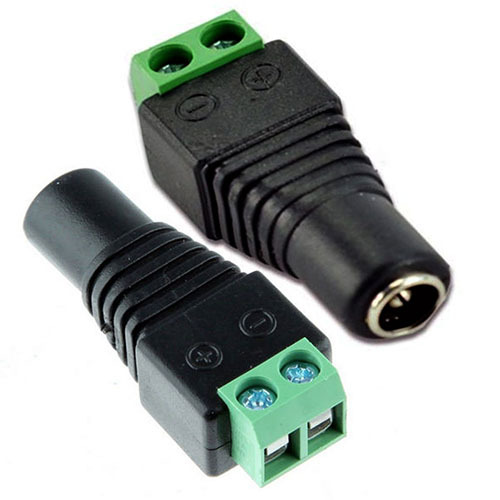 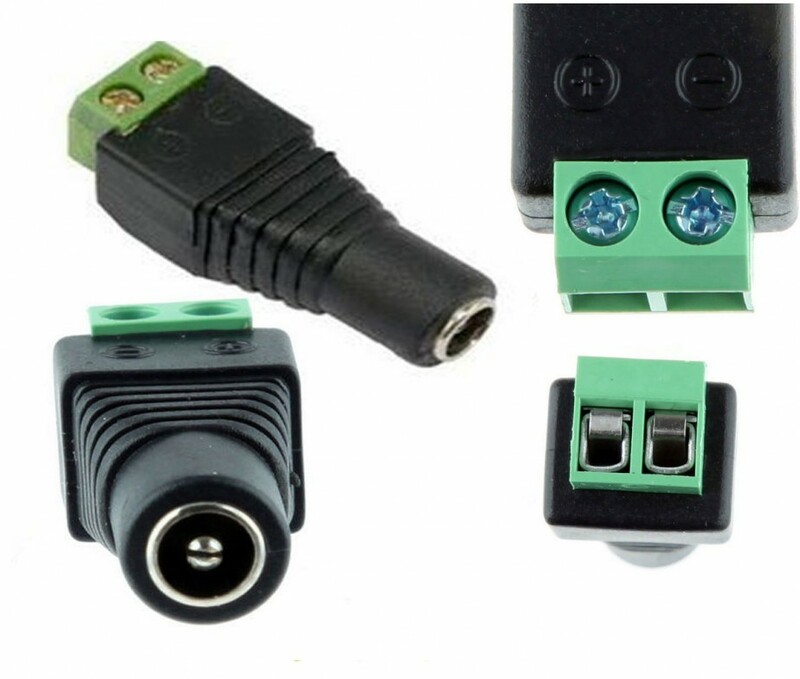 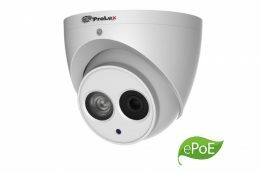 2.1mm DC jack adaptor plug for professional CCTV installations, these handy adaptors can also be used for cat5/6 installations.